Encuentros y transferencias culturales en la literatura latinoamericana colonial (siglos XV-XVIII)The idea of cultural transferences is the principal perspective of this project and will serve as a methodological frame to explain a long history of cultural crossroads, tensions and misunderstandings in Latin-American culture. Rather than considering these cultural transferences, as simple continuities of the Westen tradition in the New World, the project aims to analyse this transfers as instances of discontinuity and adaptation, transculturation, ethnic and social mestizaje, and mutation or hybridation, manifested in literature of various genres. This project will have various phases, and with time we will go through the different chronological periods of the Latin-American cultural history. Initially we will focus on the colonial period. Colonial Literature: By studying particular cases from the first encounter, the conquest and the formation of the colonial societies, this phase of the project pretends to study how a new intercultural discourse emerged in the New World (through impositions, reactions, sub-discourses, and especially through mestizaje and syncretism). Founded by: The Research Council of Norway / Norks Forskningsrådet (NFR208705/H30) in collaboration with The Pontificia Universidad Católica del Perú. 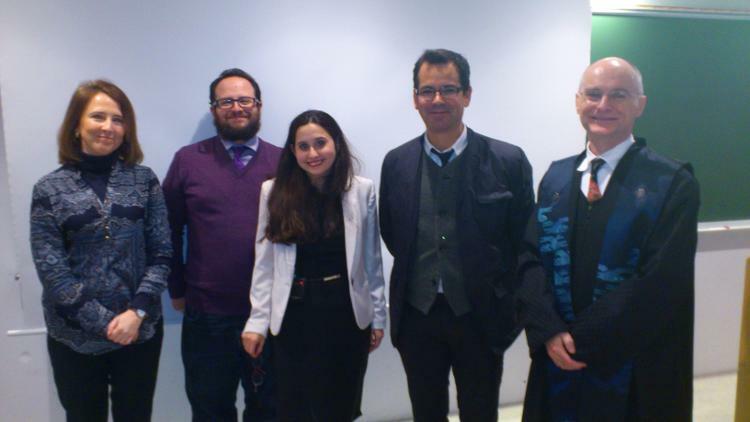 Leonor Taiano Campoverdehas successfully defended her PhD. dissertation at the University of Tromso -the Arctic University of Norway on February 14, 2014. 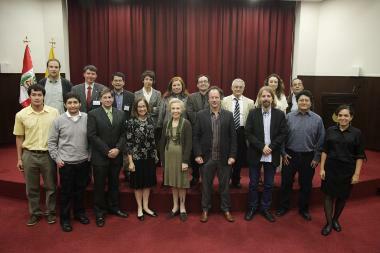 The dissertation director was Prof. Carlos Cabanillas Cárdenas (UiT) and the evaluation committee was composed by. Prof. José Buscaglia (University at Buffalo—The State University of New York), Prof. Pilar Latasa (Universidad de Navarra), Prof. Antonio Fábregas (UiT). The public defence was led by Prof. Svein Aamold (UIT). 3) Conference: Indigenous and Creole Subjects in Latin America. Homogenization, Negotiation and Subversion (16th.-18th.c). Department of Humanities of the Pontificia Universidad Católica del Perú, Lima, 31 May-2 Juni, 2012. Profs: Pedro Guibovich (Pontificia Universidad Católica del Perú), José A. Rodríguez Garrido (Pontificia Universidad Católica del Perú), Marguerite Cattan (Høgskole i Østfold), José Buscaglia (University at Buffalo- The State University of New York) y Álvaro Baraibar (GRISO- Universidad de Navarra). Juan del Valle y Caviedes, Guerras físicas, proezas medicales, hazanas de la ignorancia, edición crítica, estudio y anotación de Carlos F. Cabanillas Cárdenas, Madrid/Frankfurt am Mein, Iberoamericana/Vervuert, 2013.